As the northern part of the English capital, the term North London is commonly used to describe any area of the city north of the River Thames. Almost five million people live across the region, which has for the most part an extremely strong property market. At My Home Move Conveyancing we’ve been developing our knowledge of markets like the one in North London since 2001, allowing us to bring a specialist, fixed fee conveyancing service to our clients in the area. If you’re looking to buy or sell property in North London, you’ll need to instruct property lawyers to complete the legal work on your behalf. As your North London conveyancers, My Home Move Conveyancing can bring you our award winning customer service, innovative use of technology and a market-leading attitude to what we do. Our conveyancing service comes without any hidden extra costs, so you’ll know exactly how much you’re going to pay from the start. What’s more, if you don’t end up moving, you won’t have to pay us a thing in legal fees. Each of our clients is assigned a dedicated conveyancer, who’ll look after your case from start to finish, providing you with a consistent point of contact and regular updates on your progress. 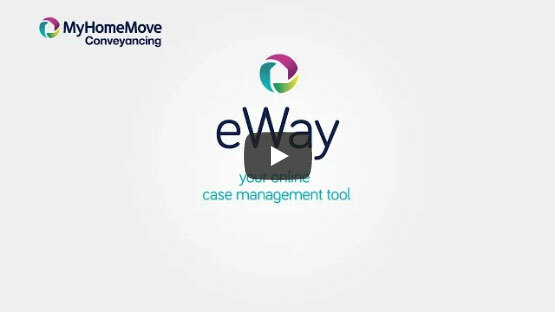 At My Home Move Conveyancing we get things right first time, and give you online access to your account so you can check up on things at a time that’s convenient for you. We’re proud to supply our conveyancing services in North London to customers across the area, in places such as Barnet, Camden, Enfield, Islington and Westminster, as well as the City of London. The average price of houses sold in North London over the past 12 months was £674,402, which is cheaper than Central London at £1,459,408 and West London at £1,142,160. Most sales in North London during this period involved flats, which went for an average of £533,575, while terraces fetched £827,362 and semis £917,799. Each area of North London has its own local council responsible for properties, including Barnet Council, Camden Council, Hackney Council, Haringey Council and Islington Council. As North London takes up a large area of London north of the River Thames, there’s a wide variety of neighbourhoods you can choose to live in. Whether you want to live in the heart of the capital or on the outskirts of the city, there are different places to suit different needs and budgets. From Barnet and Enfield in the northern reaches of North London to more central spots like Camden and Westminster, most parts of North London are popular for their fabulous access to the English capital. There are superb transport links across North London, with the London Underground system covering large parts of the region, as well as overground services you can use. Access to the M25 is great from northernmost parts of the area, while places like Edgware are ideal for using the M1. When it’s time to go on holiday, you’ll have good access to different airports such as London City Airport and Heathrow -depending on which part of North London you’re in. There are lots of schools across the region to choose between, with a huge number of primary schools across North London. Some of the highest rated secondary schools in the area include Queen Elizabeth’s School in Barnet, Holland Park School and Kensington and Chelsea’s The Cardinal Vaughan Memorial RC School. If you’re looking for higher education facilities, you’re in the perfect place for London’s wide selection of universities. All properties in North London will fall within one of the following council tax bands. Each local council charges a different amount of council tax, with a Band D property in Westminster paying £668.81 per year, and the same band property in Haringey paying £1,484.01.